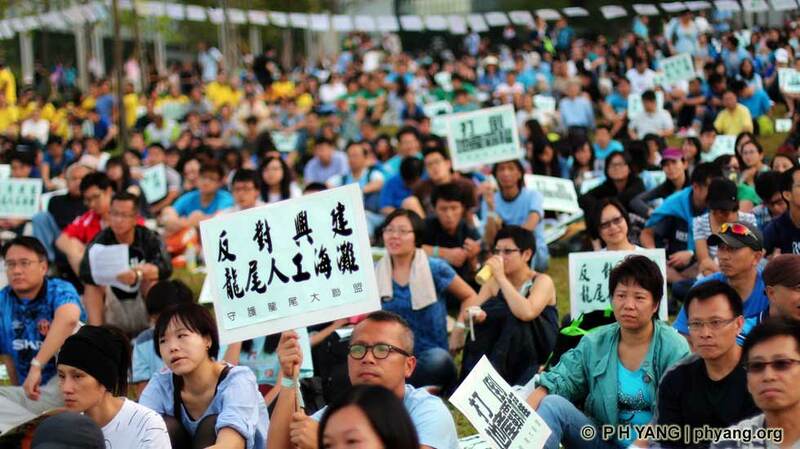 3000 Rally with Green Groups to Safeguard Lung Mei Beach at Hong Kong Govt Headquarters. 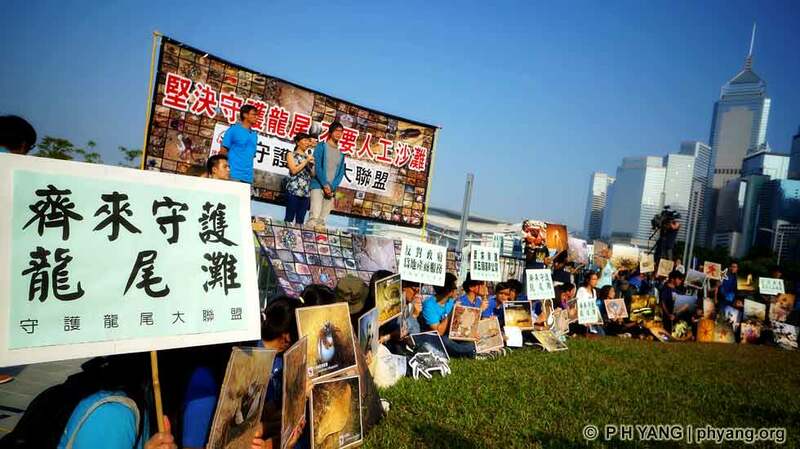 Protesters want a natural coastline at Lung Mei. 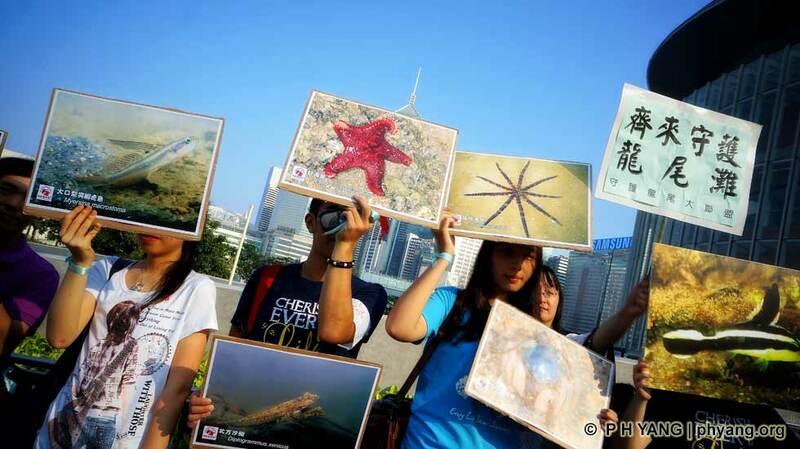 Volunteers showing photos of the numerous marine life at Lung Mei. 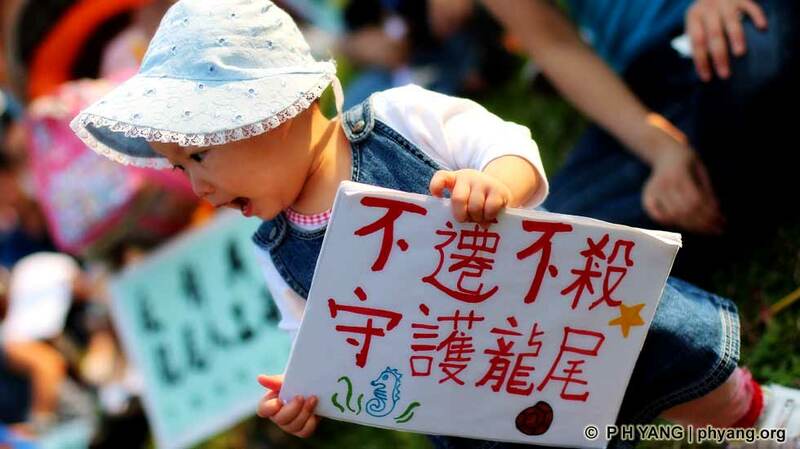 1 year-old Chu Yi-yan wants to keep her favorite beach. 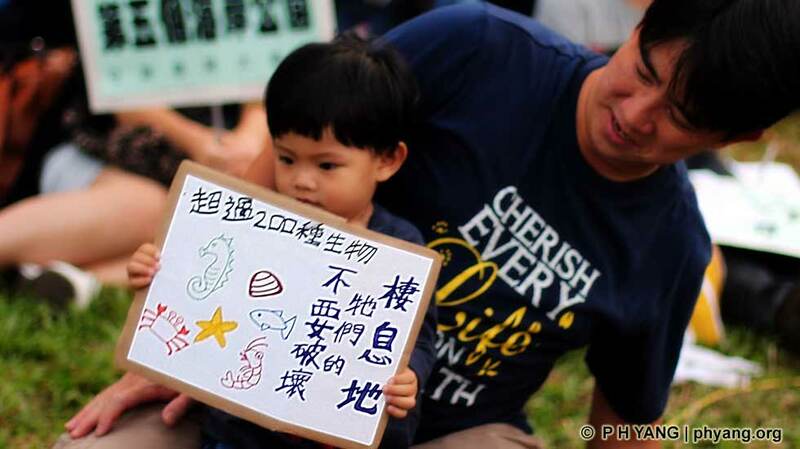 Volunteers vow to safeguard the numerous marine life at Lung Mei. Don't damage the habitat of over 200 marine species. Over 200 Species of Marine Life are home to Lung Mei Beach.